I am proud to announce that our gigabit residential offering on UTOPIA has dropped in price to $70 (UTOPIA charges included, and can vary up to $100 total in some cases). Cynics may point to the fact that this matches the Google Fiber offering on iProvo, and you know, they’re right. When there is robust competition, the consumer wins. Additionally, with UTOPIA, if you hate the service your current provider is giving you, you can easily switch to another provider. If your Internet service is not giving you answers about individual privacy and warrantless surveillance, pick one who does. With robust competition on a level playing field, the customer has choice. A decade ago when Salt Lake City was considering UTOPIA, Qwest made all sorts of blue sky promises. Today, I still have one choice, the same choice as 10 years ago, if I want to provide my family with XMission at home, 3Mbit DSL. The only things that have changed with Qwest is their elimination of third party Internet providers from their residential services, and their name. Regardless of Google, Provo is still financing their fiber network with a $7 monthly charge on all water bills. Although this could be alternately financed through a property tax increase, the immediate benefits are clear both in Provo and UTOPIA cities. 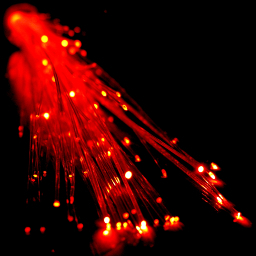 Gigabit Internet for about $70 and the potential for low to no-cost telephony. A slightly higher tax for significantly lower prices on essential services. With more and more video moving online to providers like Netflix and Apple, Comcast has shown intent to restrict those offerings in favor of their own television service. Many people pay a $50/month premium to DirecTV to watch only HBO. If and when they start selling direct online and cut out the cable/satellite middleman, their customer base and profits will increase. Yet the captive cable and satellite customers will continue to pay their monopoly tax. The incumbents will fight this tooth and nail because their profits revolve around customers with no other option. I envision a day when you plug your computer or wireless access point into a wall jack, the first web page you see is a list of Internet providers and the services they provide. Click one, enter your billing information, and away you go. This is already a reality in countries that have undertaken municipal and government projects to provide fiber. It could be the same here, but it isn’t going to come from the private sector. The future is clear. Talk to your city & county councils and mayor’s offices, and let them know you want competition and choice. Let’s get these data highways built. Data Centers: A Dramatically Changing Industry 5 things I learned about email at the Zimbra technical conference. BUT: If Utopia or some other service with XMission available as an option arrives in Springville, I will be switching back as soon as my contract is up. Fantastic! The speed and price range of Google Fiber, but with Xmission’s more reputable ethics… and not confined Provo! I disagree with the last paragraph or so, but I’m glad to see prices come down due to competition. And if fiber comes to Farmington, Xmission will be the first on my list of ISPs to sign up with. Would an upgrade to the fiber gateway is be required since my current model is limited to 100MB WAN? I have inquired about this Utopia upgrade thru XMission’s support email and have yet to receive a response. Is there a alternative email I should be using in order to request this upgrade? Rich, you will require an upgrade to your UTOPIA CPE if it is limited to 100Mbit. It would also be good to upgrade your gateway router as well if it is an older model. Email sales@xmission.com regarding availability and upgrading. I truly appreciate the good news and your well crafted article. I couldn’t agree more that the private sector is holding back several innovations intentionally. Sad, but true. I believe that Google also holds this belief, as their initial gigabit offering in Kansas City seemed to be about proving such networks could be built and could also be profitable here in the USA, and that cable and telecom companies have been sitting on their hands for the past decade. With all of that said, I think the problem for Utopia is the limited adoption rate. Obviously Utopia is only offered in select cities. Why Salt Lake City voted not to have it is beyond my comprehension, but if I am hearing you correctly, these new upgraded speeds are meant to compete, innovate and force the hands of larger providers like Qwest and Comcast. If that’s the case, doesn’t Utopia ultimately need to spread and be adopted by other major cities across the valley? If so, what is the game plan for that – if any? Can a service like Utopia really survive when the most urban area in the valley voted it down, or is Utopia’s fate resigned to falling in the hands of a company like Google down the road? After all, it happened in Provo. More importantly, is Google priming themselves to be the next Comcast or Qwest? Or will they allow multiple service providers to use their infrastructure, bring your envisioned future to reality? We’ve actually just been informed that Utopia has to order more equipment to handle the gig upgrades. Check back with us in a couple weeks to find out where we’re at. Did we get back to you? Want to make sure we did not leave you hanging.